Schiebe und Collegen of the Young Members Group. The Young Members Group was established in 2013, chiefly to encourage the professional and social networking activities of INSOL Europe’s members of 45 years and below. Please do get in contact with us if you would like further information or to join the group. Further details will be posted on this page. 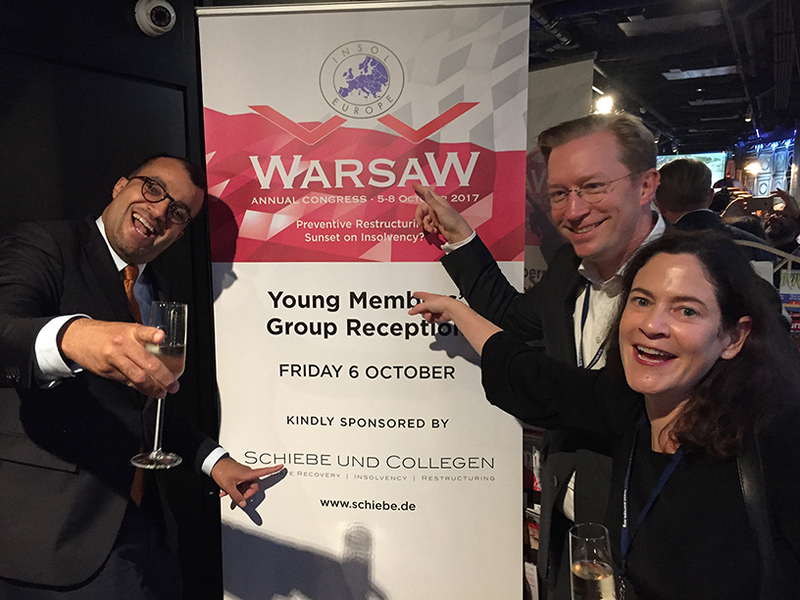 Watch a short clip from our latest Young Members Group reception in Warsaw here. More videos will be posted here shortly.